My rabbi in Ohio, where we lived before moving to Florida, asked our class, “Why these Ten Commandments?” Our spirited discussion led us to the answer: Because it’s what the people were doing at the time. The Commandments spoke to the existing evils. Our legislators would do well to remember that lesson. Why these regulations? Because abuses were rampant and Florida was known as the place where con artists and criminals preying on associations had their dreams come true. The situation was outrageous and unacceptable. Association boards were being hijacked by those who looked at the positions as profit centers for their personal gain. Elections were rigged. Unscrupulous managers worked in collusion with corrupt boards. Convicted felons and others were managing and bleeding associations dry. Honest, victimized unit owners had no place to appeal to but the courts, a really expensive, time-consuming alternative paid for by all the taxpayers, clogging the already burdened system. This bill has been morphed into something it isn’t, now called an implementing bill to put it on a fast track in order to avoid committee meetings and public input. This is unconscionable. Do we need to take a hard look at association regulation? Of course we do; all regulations should be revisited periodically. But the process needs to be a thoughtful one, with input from everyone affected, to make sure changes don’t cause chaos, and there are no unintended consequences. Moreover, each unit owner has paid into the funds that were created for the regulatory entities. This involves millions of dollars paid specifically for much needed regulation. Ironically, the money from this fund that is planned to be put into the general fund will end up costing the state so much more because disputes that would have been settled by lower cost arbitration will now end up in court, not to mention overwhelming a system that can’t handle what it has now. The millions unit owners pay to the state cover the costs of association matters would be put into the general fund, a shameful betrayal. 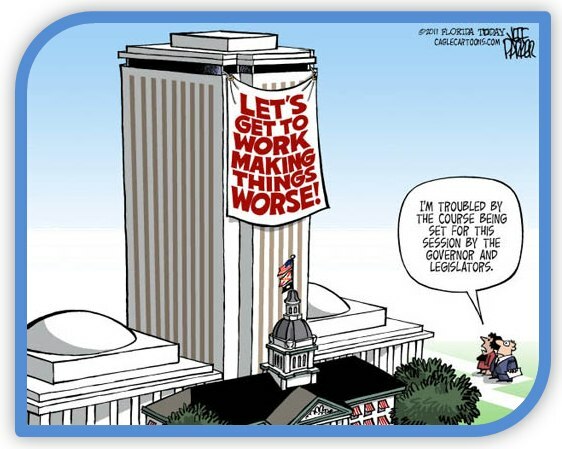 SB 5005 would only make Florida’s situation worse, the very last thing we need considering that our fiscal position is as precarious as that fiddler on the roof. This entry was posted on Sunday, April 3rd, 2011 at 12:41 pm and is filed under Commercial IAQ, Residential IAQ. You can follow any responses to this entry through the RSS 2.0 feed. You can leave a response, or trackback from your own site.